Made a backup of any changed files, that you can carry over to the new extension. Usually, the files that most developers change, are Product.php and Productbase.php, which control product attributes. 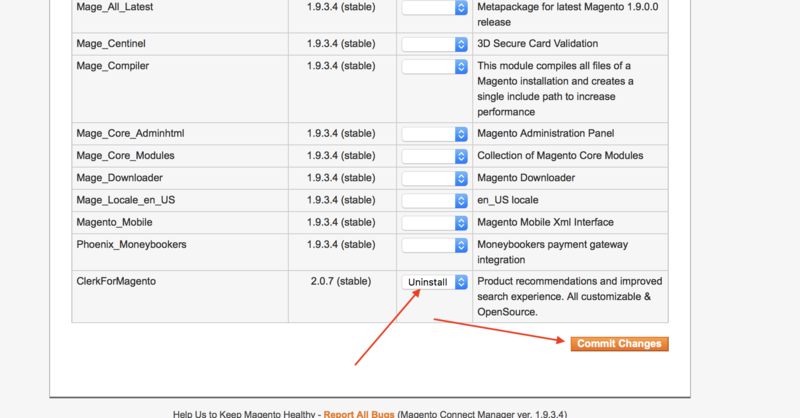 Deactivate the old extension in Magentos System->Configuration->Clerk->Settings page. Simply set Enable to No and click Save Config. from FTP if you installed it directly here. Lastly, install the latest extension again, and move any files you have backed up, to your FTP server. Your configuration should be saved, even when installing the new version. Check System->Configuration->Clerk to make sure that everything is still there. 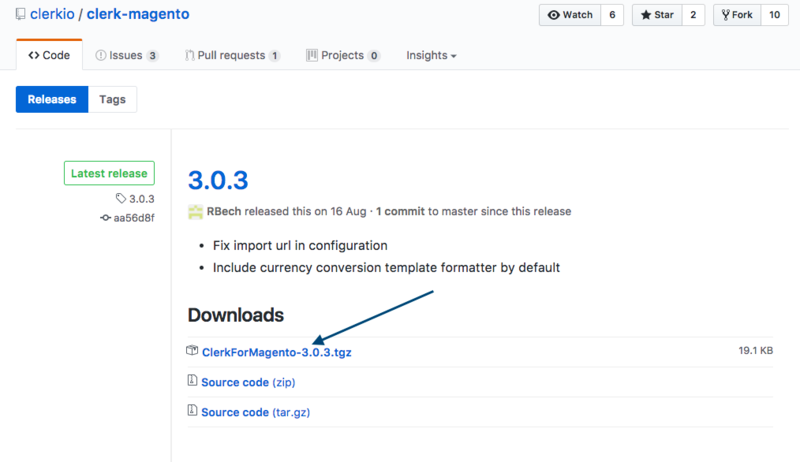 Now you have the latest version of Clerk.io for Magento installed!